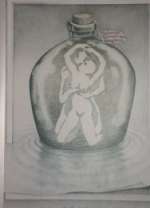 What did you see in the picture? I bet you saw a couple in an intimate pose, right? Look at the picture carefully, after a few seconds, you will see a boat in the background. It's hard to believe there is no water on the sidewalk! The hose, drain, puddle... everything is painted on the sidewalk! Optical Illusion of man drinking a really large Corona Beer. 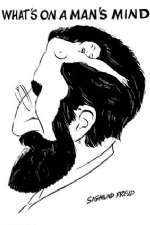 An Optical Illusion of a woman's body creating a mans face.